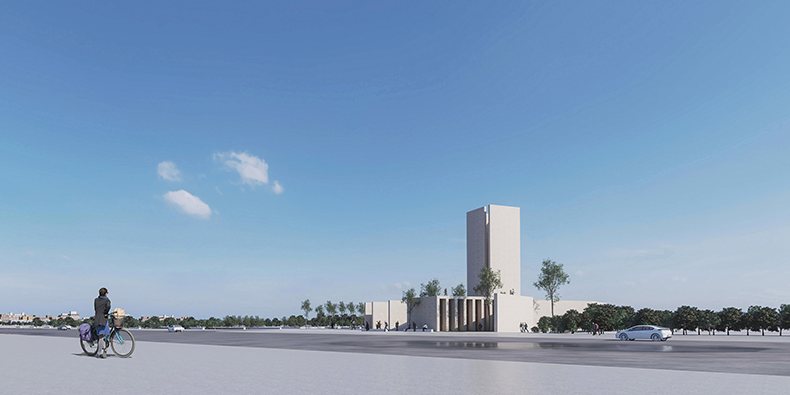 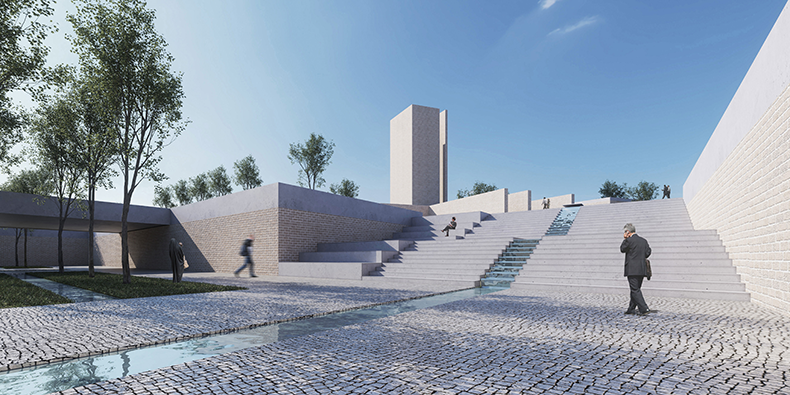 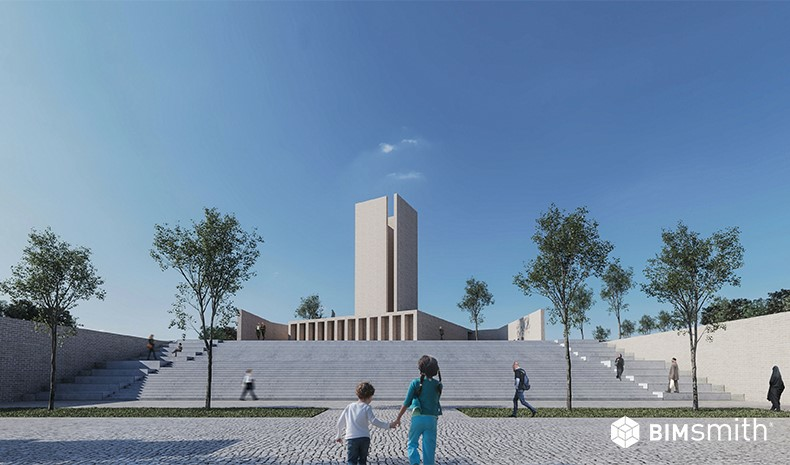 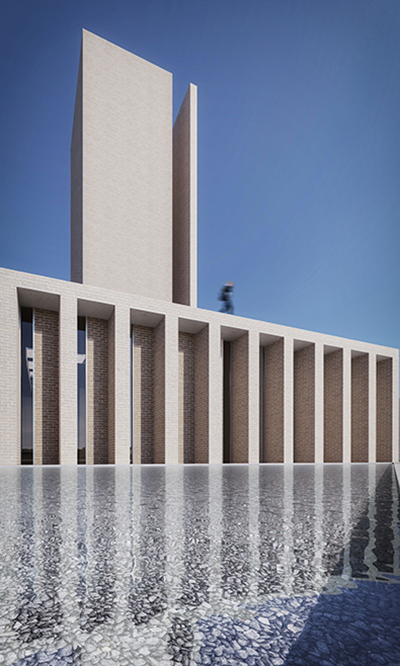 This spiritual center and plaza, designed by Ahmad Saffar of Saffar Studio, aims to capture the history and tradition of traditional worship while also meeting the needs of a modern cultural landscape. 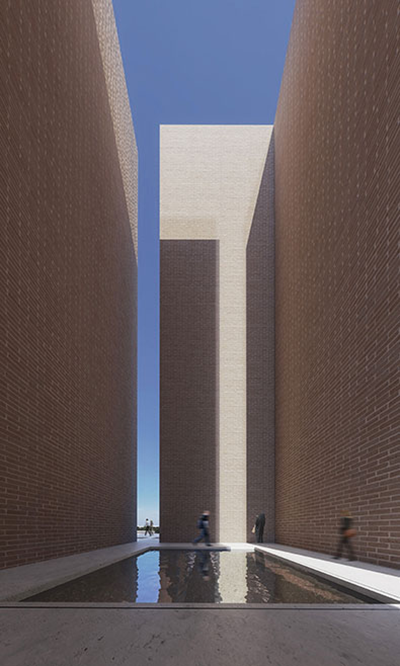 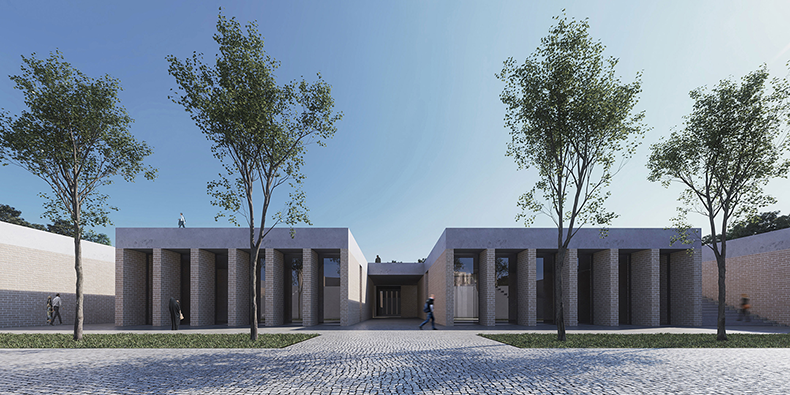 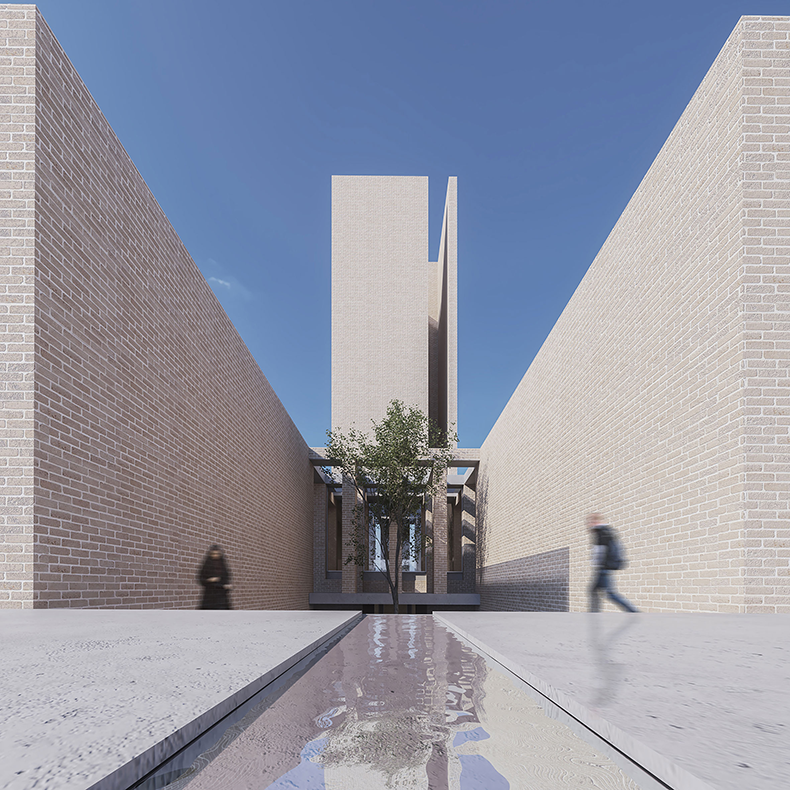 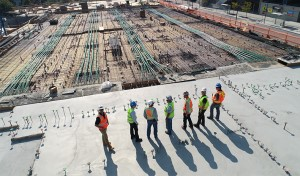 The project pays close attention to the specific technical and cultural processes specific to the spiritual centers of its culture, such as a central courtyard/Persian garden. 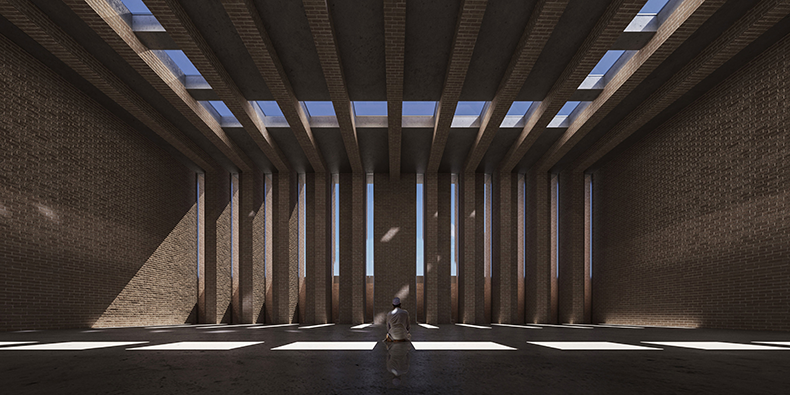 It also pays special attention to the power of space and invoking a sense of belonging, characteristic to much of Iranian architecture. 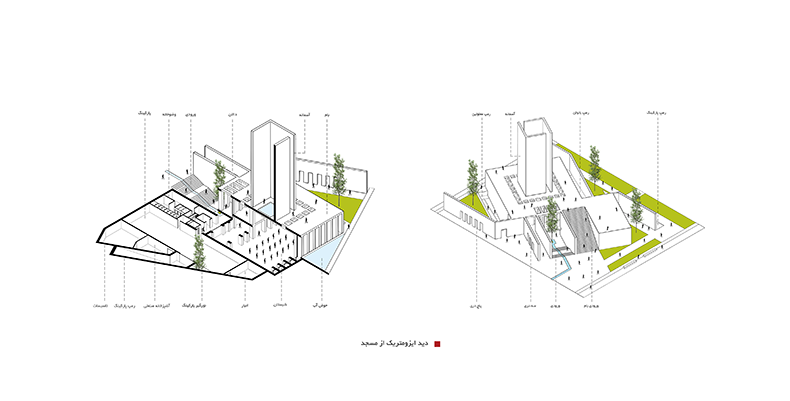 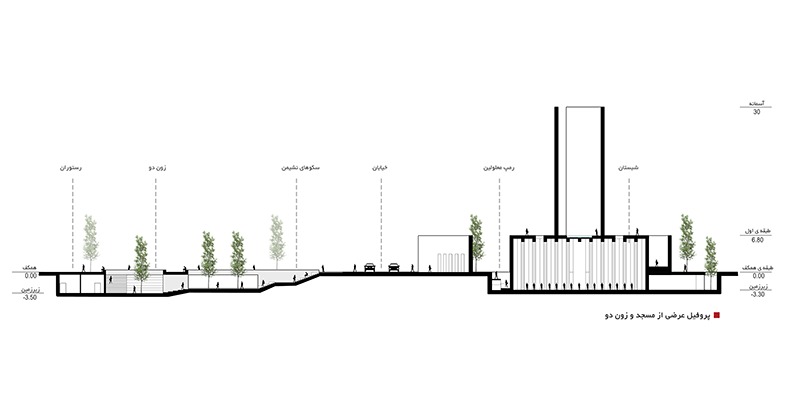 Emerging as a champion of urbanism and sustainability through its minimal design, the Golshahr project focuses on providing a space that draws its energy not from the earth, but from the people whose paths intersect there. 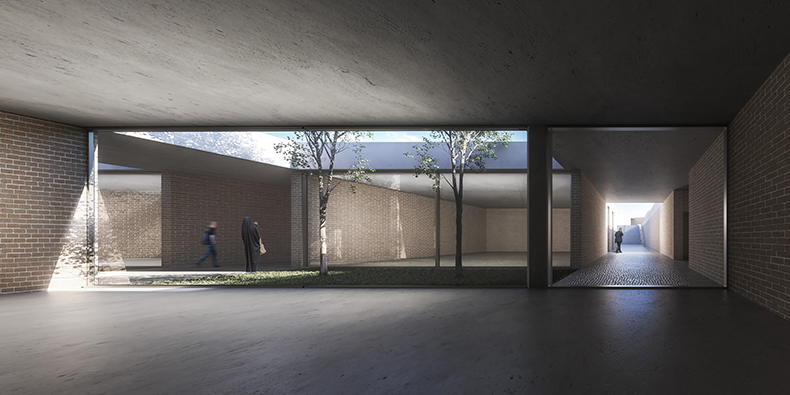 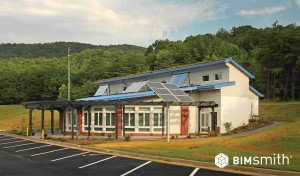 The project design embodies a series of paradoxical themes, including introversion/extroversion, accessibility/confidentiality, unity/diversity, and order/chaos, in ways that perhaps appropriately befit a house of worship that thrives as an anchor at the intersection of a varied and unpredictable world. 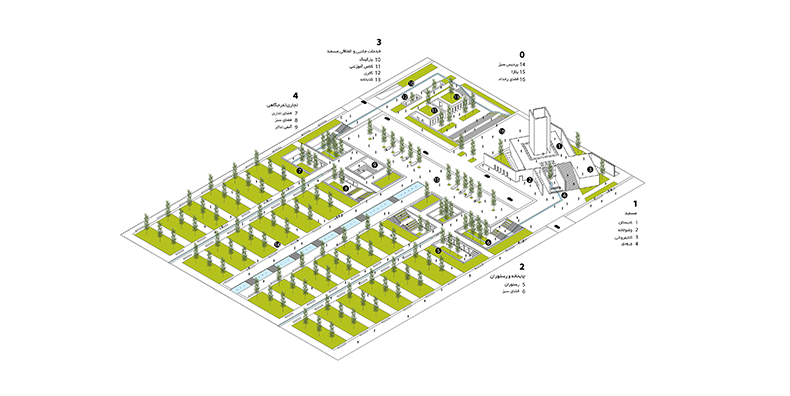 Learn more about the Golshahr Mosque and Plaza at Saffar Studio.